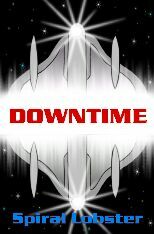 International Hobo Ltd (ihobo) are proud to announce the publication on 6 June 2001 of the cult science fiction novel 'Downtime' by Jacobyte books (www.jacobytebooks.com). This marks the first collaboration between the rapidly expanding games and script consultancy and Australia's largest e-book publishers. Several more novels are planned over the next three years, with Jacobyte having exclusive e-publishing rights, whilst ihobo retains the computer game rights. "We first approached Jacobyte looking for writers to add to our talent pool of script writers," Chris Bateman of ihobo explains. "But nine months later, and the relationship has flowered into the publication of a book written by one of our most acclaimed and unconventional script writers. We know of no other similar collaborations between e-book publishers and games companies, and believe we may be the first company to strike a deal selling book publishing rights to one party, whilst retaining games rights for our own portfolio." Since its inception in 1999, Jacobyte Books has established an international reputation as a publisher of innovative, high-quality books, with an emphasis on new writing. In 2001 alone, Jacobyte's authors have won 2 EPPIE awards and a Simegen Reviewers' Choice Award. Jacobyte Books is in the forefront of modern publishing technology, publishing on-line and in paperback formet using Print on Demand. "We are delighted to add such an excellent book as Spiral Lobster's 'Downtime' to our list," says Jacobyte's Managing Director Tania Milohis, "and we hope this won't be our only book in association with a company like ihobo." It is expected that 'Downtime' will be followed by a sequel, 'Dreamtime', within the next twelve months.